For most Canadians, Labor Day weekend is the official end of the summer season. It doesn’t mean the summer fun is over, there are still many outdoors events to look forward to in September and October across the GTA. 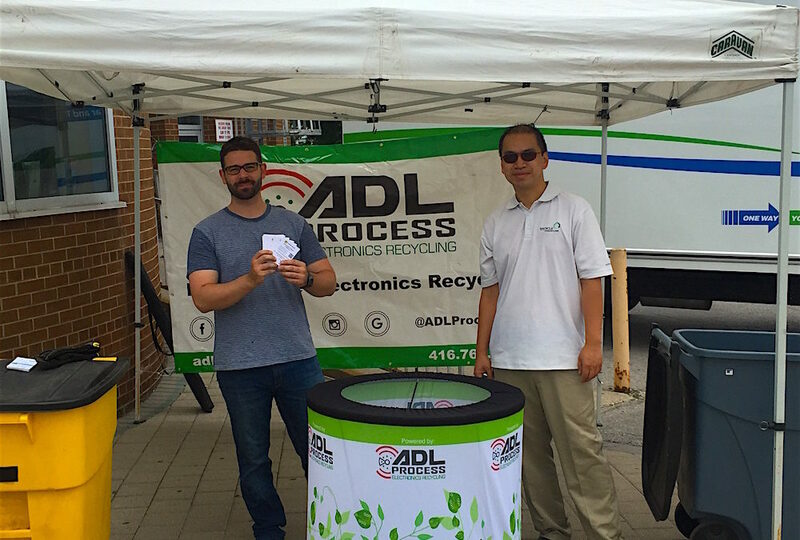 In that spirit, ADL Process is continuing its e-waste collection events program in partnership with the Toronto Public Library, and we’ll also participate in other events to make sure your used electronics devices are recycled responsibly. We’d like to take this opportunity to thanks all the communities who already participated in the program, all the people who dropped off their old devices with us, and the organizations who partnered with us to make this program possible: Inorganic Market, Toronto Public Libraries, Haven on The Queensway, Main Squared Festival and our employees. We are happy to report that the program is a huge success with several truckloads full of electronics diverted from the main waste stream and being recycled. We hope to see many of you! If you wish to have us come in your neighborhood to help raise awareness around e-waste recycling and how to develop good habits, please contact us.